Bowery Presents has informed us that our annual Christmas show is now SOLD OUT! Many thanks to everyone who bought advance tickets. Remember: Wormburner hits at 9PM! Bowery Presents has confirmed us for our annual Christmas show. This year we are back at New York City’s Mercury Lounge, and again we will be joined by Knockout Drops, Lifeguard Nights, and of course The Yule Dogs. THIS SHOW WILL SELL OUT. Get your tickets here. Wormburner has contributed original theme music for a new storytelling series created by Kevin Allison of The State. The series is called RISK!, and it is broadcast weekly from Joe’s Pub in Manhattan. Guest storytellers have included the likes of Janeane Garofalo, Tim Daisey, and SNL castmembers Rachel Dratch and Casey Wilson. The series got a nice write-up recently in The New York Times. Introducing the fourth in a four-part series of live-in-the-studio music videos shot at our space in Hoboken, NJ. This is a new song called The Interstate, and it will be prominently featured on our soon-to-be-released LP. Click here to watch it. On the Thursday nite leading into the Halloween weekend, Wormburner is booked in a perfect 9:30PM slot at New York City’s Mercury Lounge. See you there. We are taking a short break from live shows to finish recording our sophomore album. You can sample some songs from the forthcoming record by clicking here. Introducing the latest in our series of live-in-the-studio music videos shot at our space in Hoboken, NJ. This is a re-worked version of one of our older songs, a summertime classic called Autographed Copies. Click here to watch it. 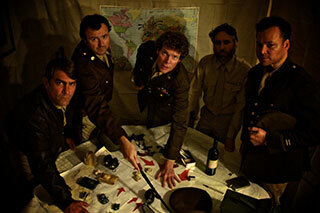 Many thanks to our supporters at WNEW.COM for featuring our newest video. Click here to view the second in a series of live-in-the-studio music videos recorded at our Hoboken studio space. The song is called Two Kinds of People, and it will be included on our next LP. Our next New York City show will be on Saturday June 27th. This marks our first return to the hallowed halls of The Mercury Lounge since we sold it out in December. 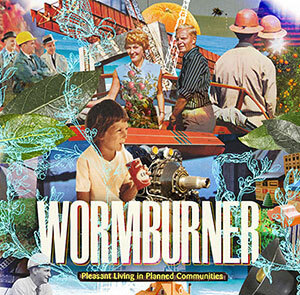 Wormburner will be opening for Pansy Division. It’s an EARLY SHOW, so plan your nite accordingly. On Thursday June 25th, Hank will be appearing as a guest vocalist at the Matador Records 20th Anniversary Tribute Show. The event takes place at Spike Hill in Williamsburg, Brooklyn. Hank will be singing some Guided by Voices songs and at least one song by The New Pornographers. Admission is FREE, so come out for it. You never know who’s going to show up.